World of Warcraft: Zandalari Troll druid forms look absolutely insane – AiPT! 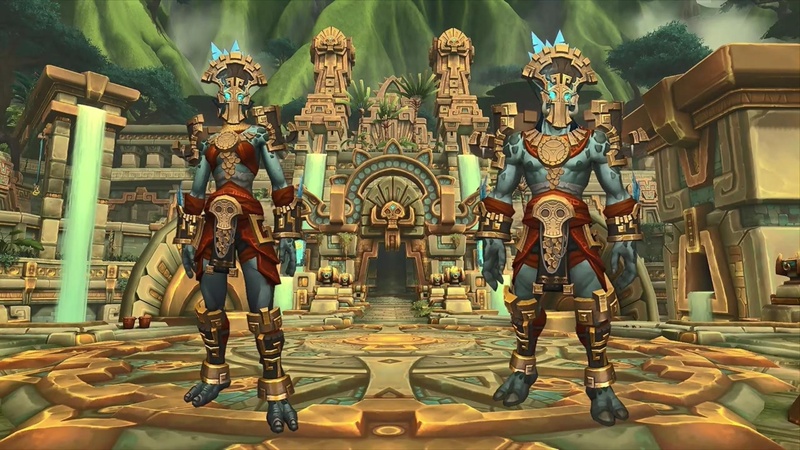 Zandalari Trolls are one of the Horde’s new Allied Races. They were announced at the same time as fellow their Allied Races — Nightborne, Highmountain Tauren, Lightforged Draenei, Void Elves and Dark Iron Dwarves — but like Dark Iron Dwarves, they will not become playable until Battle For Azeroth actually launches. That doesn’t mean we aren’t slowly learning more and more about them, though. The latest Battle For Azeroth build just hit alpha, and with it came a couple of druid forms for Zandalari Trolls. While most races’ druid forms look pretty similar, especially Moonkin Form, Zandalari Troll druids will have hands-down the most unique and arguably best visuals in the game. Thanks to Wowhead, we have our first look. I…just…what? Can this even be considered “Moonkin” form? It doesn’t look anything like a Moonkin! It does look pretty badass, though — like an emaciated Arakkoa with tusks. While less shocking than their Moonkin form, Zandalari Troll druid Bear form looks downright menacing. The spikes on top make them look more like a war turtle than anything else. We haven’t caught a glimpse of their Cat form or Tree of Life form yet, but if these are any indication, they will be jaw-dropping.